Digital storytelling is a power way to get students engaged in learning. Using a variety of web tools students will be able to experiment with a set of important skills and literacies in a multimodal environment. They can use text, audio , video, images to communicate their ideas and enhance their visual literacy and writing competencies. It also gives students an opportunity to experiment with self-representation and establish their identity. 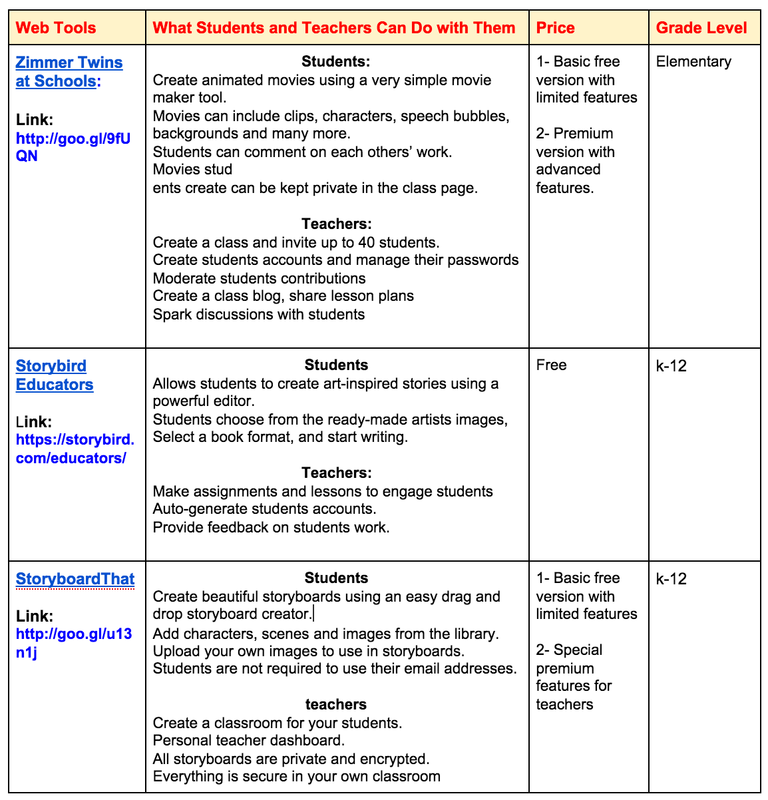 Below are two charts that feature a plethora of digital storytelling web tools to use in class. 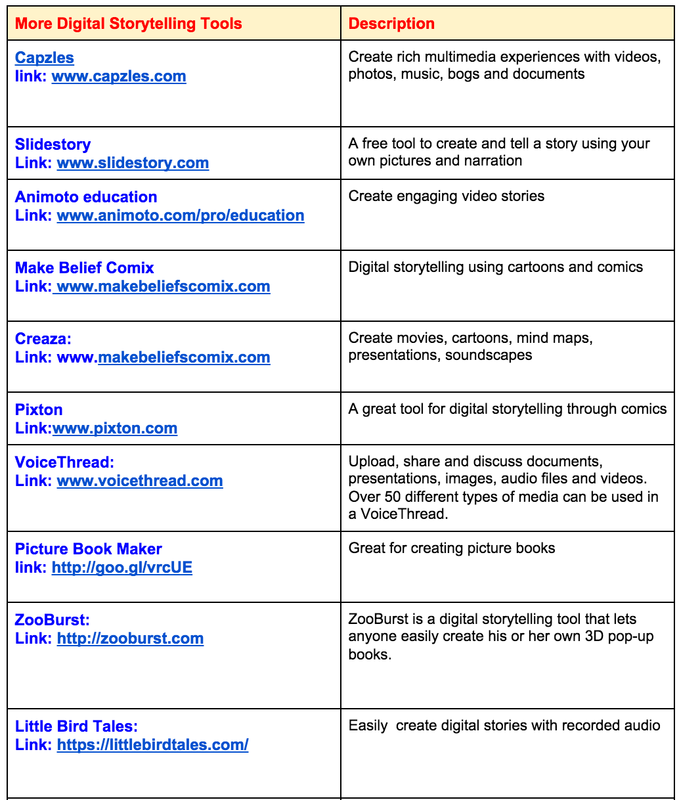 The first chart includes my top 4 recommendations for teachers and the second include other good digital storytelling to try. Stay tuned. MANY MORE charts covering different educational web tools are in the making. You can access and download the Google Doc version of these charts from this LINK. N.S: This chart is inspired by similar charts created by Richard Byrne in Free Technology for Teachers.